Joël Grangé is name partner at Flichy Grangé Avocats, a leading employment law firm in France with over 70 labour law specialists. Joël Grangé advises and assists French and international clients on all French employment issues. He specialises in advising on mergers and restructuring operations, collective redundancies, transfers of undertakings and collective disputes. He also advises on employee savings schemes, individual relations, working hours, executive management, litigation, social security issues, welfare schemes, health and safety, and occupational accidents and illnesses. Joël Grangé's recent work has included advising a number of large companies on corporate restructuring and consolidation (in the oil, pharmaceutical, IT, telephony, department store, banking and financial sectors). 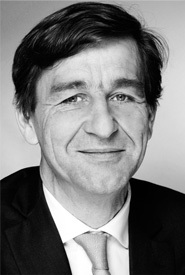 Joël Grangé is an authority on French employment law and labour relations, subject on which he regularly publishes and is distinguished as a leading individual by Legal 500 and has been ranked in Band 1 by Chambers since 2004. He was the regional vice chair (Europe/Middle East/Africa) of the Employee Benefits and Pensions Practice Group of Lex Mundi. Joël Grangé is also a member of the employment and industrial relations law committee of the International Bar Association (IBA) and the European Employment Law Association (EELA). He was a lecturer on employment law at the Institut d'Etudes Politiques de Paris. He is also a member of the editorial committee of La Semaine Juridique - Social. He was recognised as 'Best Lawyer 2010 in Employment Law" by Best Lawyers. Joël Grangé graduated from the University of Paris in 1987 and was admitted to the Paris Bar in 1988. He is fluent in both French and English.